Above: A sampling of the powders I've accrued recently...clockwise from top left...Hourglass Ambient Lighting Powder in Dim Light, Chanel Mattifying Compact Powder Foundation in 22 Beige Rose, Hourglass Ambient Lighting Powder in Diffused Light and Makeup Forever Pro Finish Powder Foundation in #117 Golden Ivory. I have been on a bit of a powder binge as of late. As my skin goes through the inevitable transition from NC 27-30 to NC23-25 (it takes eons for my summer tan to fade...good grief, it's almost summer again! ), my quest for the perfect shade of base has yielded countless foundation and powder purchases. I prefer to use a powder to refine the look of my foundation, rather than serve as a foundation on its own...in turn, I've been looking for lighter powders with undetectable finishes and the ability to simultaneously mattify and enhance radiance. Above: Comparison swatches of some recent powder acquisitions...all are fairly sheer, but have been swatched heavily to reveal their true undertones. Dim Light is a pale mixture of peach and beige, Chanel Beige Rose 22 is a pale peach/yellow hybrid (very little, if any, pink), Diffused Light is a sheer very pale yellow and Golden Ivory #117 is fair warm beige (it also has the most natural opacity). I ordered the Hourglass Ambient Lighting Powder, sight unseen, from Sephora a couple weeks back. The Internet buzz about these powders had been palpable...especially because they didn't hit stores until last week. After a bit of research, I settled on Diffused Light, a "soft, warm pale yellow" and Dim Light, a neutral peach beige. 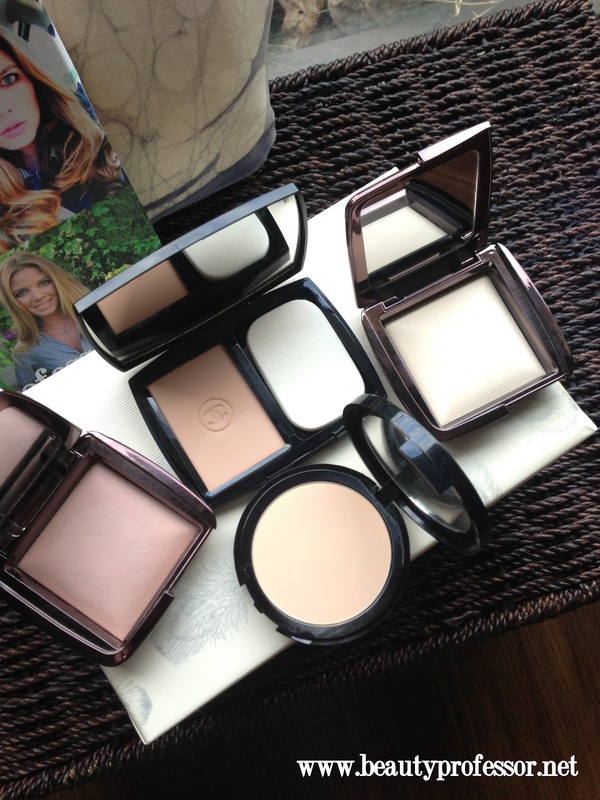 As beautiful as they look, I wasn't interested in Ethereal, Luminous and Radiant Light powders because they appear to serve an illuminating purpose and between the highlighters I love from Tom Ford, Edward Bess, RMS, Kevyn Aucoin and Chanel, I couldn't justify another shimmery face product. Create your perfect light. Ambient Lighting Powder is a groundbreaking collection of finishing powders that capture, diffuse, and soften the way light reflects on your skin. Ambient’s illuminating particles are one of the first ever to exhibit both photoluminescence and color-correcting capabilities. The transparent micron-sized spheres with an entrapped diamond core—called photoluminescent technology—do not simply cloak imperfections like traditional powder, but rather, alter and refine the perceived appearance of the complexion by manipulating and filtering out harsh light. Delivering a multidimensional luminescence to every skintone, skin appears softer, younger, and lit-from-within. With six universal shades available, you can choose to create your desired lighting effect—not unlike having a personal lighting technician. Ambient is free of talc, gluten, fragrance, and nanoparticles. This all may sound like a smidge of chicanery, but I can attest to the fact that the magical description is actually quite accurate! Above: Diffused Light is a pale yellow powder with no perceptible shimmer, though somehow it imparts a brightening glow! At first glance, Diffused Light doesn't seem like much. If not for the barely yellow sheen in the pan, one could initially mistake this for translucent powder. 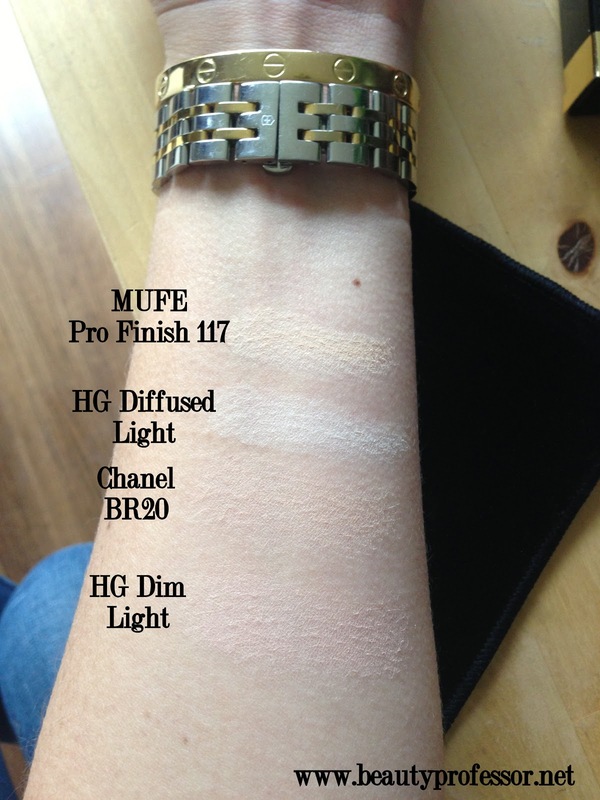 Even the swatches don't adequately reveal its transformative powers...they may only look like a very light powder, but on the face, Diffused Light's gossamer splendor is remarkable. The powder itself is very finely milled...it is weightless and silky and instantly disappears upon application. I don't detect any fragrance (and couldn't identify the addition of scent in the ingredients below) and my sensitive skin hasn't experienced any negative reactions during my week of use. Ingredients: Mica, Synthetic Fluorphlogopite, Boron Nitride, Hdi/Trimethylol Hexyllactone Crosspolymer, Polymethyl Methacrylate, Octyldodecanol, Silica, Benzimidazole Diamond Amidoethyl Urea Carbamoyl Propyl Olymethylsilsesquioxane, Sorbitan Sesquioleate, Magnesium Aluminum Silicate, Phenoxyethanol, Dimethicone, Sodium Dehydroacetate, Sorbic Acid, Olyacrylamide, Benzoic Acid, C13-14 Isoparaffin, Potassium Sorbate, Dehydroacetic Acid, Laureth-7, Ethylhexylglycerin, Trimethylsiloxysilicate. May Contain : Ci 77891 (Titanium Dioxide), Ci 77163 (Bismuth Oxychloride),Ci 77491 (Iron Oxide),Ci 77492 (Iron Oxide), Ci 77499 (Iron Oxide),Ci 75470 (Carmine). Above and below: Heavy (to reflect texture and tone) swatches of Diffused Light in indirect and direct natural lighting. The best way to illustrate Diffused Light's wonder is to see it on the face...the following images show Diffused Light over three different foundations. In all cases, this powder brightens and illuminates without obvious shimmer...it reduces redness and discoloration and evens out the skin while remaining impossible to detect with the naked eye. It also manages to keep shine at bay and lasts the whole day without caking or settling! Above: Diffused Light over Napoleon Perdis China Doll Foundation in Look 2. Above: Diffused Light over SK-II Creme Foundation in #420. Above: Diffused Light Powder over Revlon Colorstay Whipped Creme Foundation in #200 Sand Beige. Onto Dim Light...this delicate matte beige peach powder is designed to brighten and even out the skin. 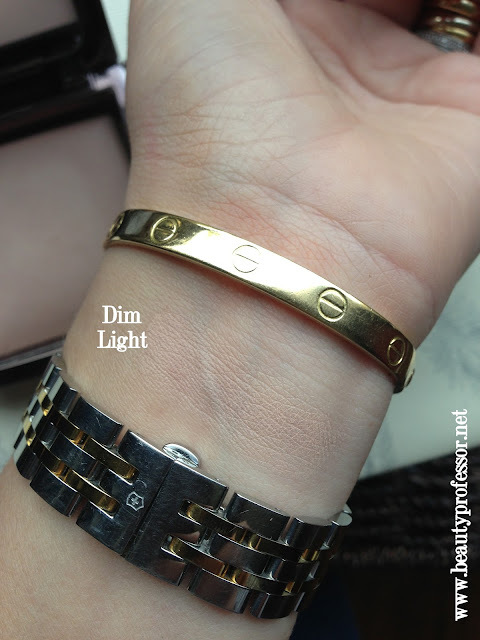 Obviously, it is darker than Diffused Light, so I apply it with a slightly lighter hand and tend to use it over foundations that lean a bit lighter. When I apply it, it feels like nothing is happening...however, the final effect is stunning. My skin is more even. My complexion looks healthier and more radiant without the use, once again, of shimmer! The brightening effect is palpable, while somehow avoiding looking like I've over applied bronzer or blush. This powder is fantastic for anyone seeking to look more awake and even. I do think that it might be a tad too dark (as an over the entire face powder) for very fair skin tones (e.g., NC10-20), however, it could then easily be used as a pale blush or contour to bring life to the cheek bones. 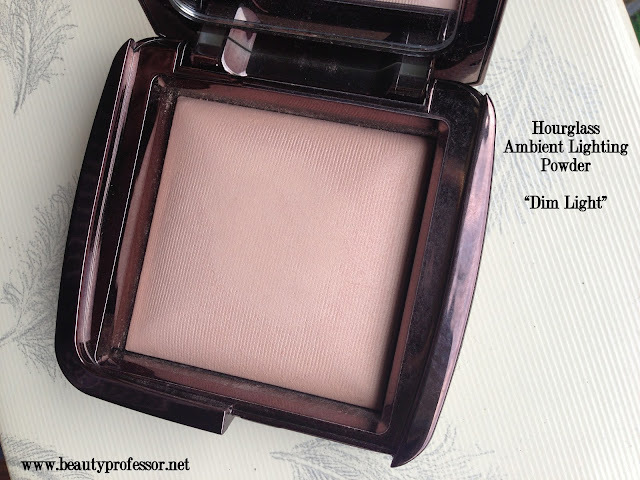 Above: Dim Light in natural light...it is a peach-toned beige that effortlessly brightens and evens the skin. Above: Dim Light over Tom Ford Traceless Foundation Stick #5. Above: A mixture of Diffused Light and Dim Light on the face. 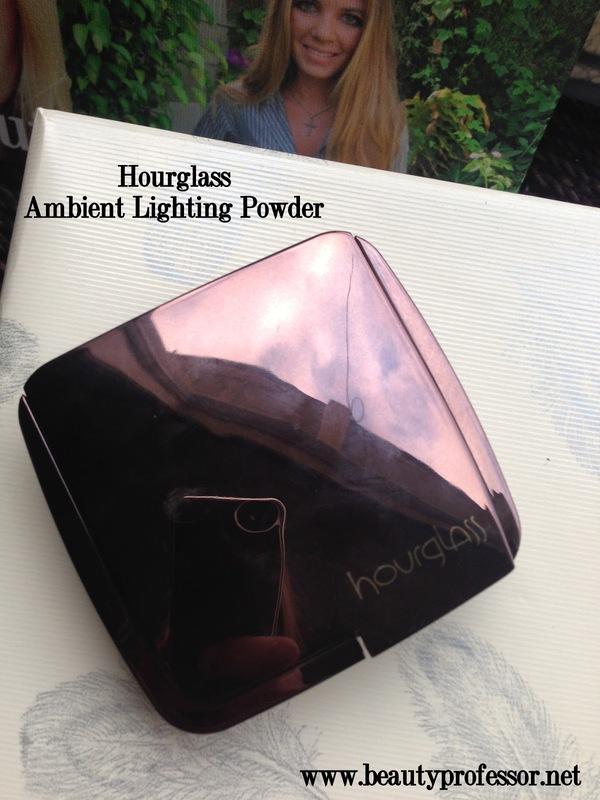 Bottom Line: The Hourglass Ambient Lighting Powders are superb. 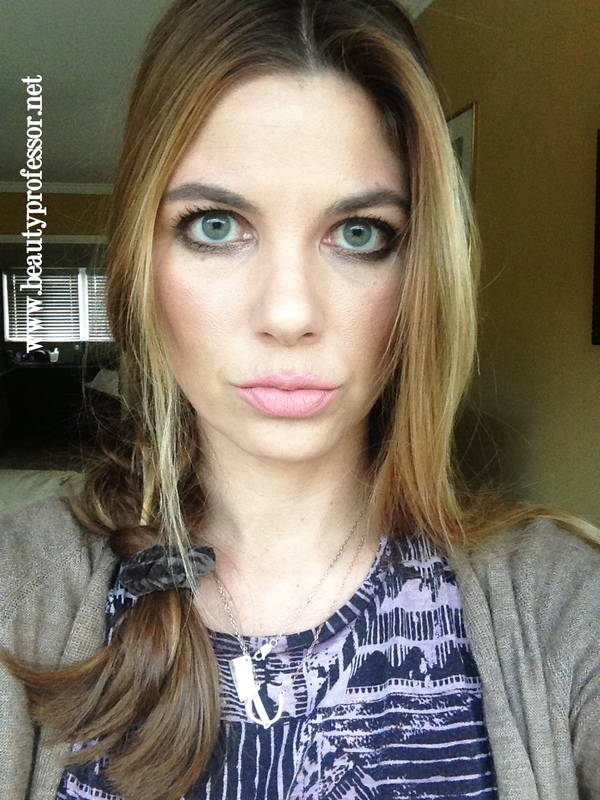 The dreamy glow that Diffused Light provides (miraculously, without a hint of shimmer!) and the overall evening out effect of Dim Light fulfill a previously vacant role in my vast powder arsenal. Perhaps my favorite way of using these powders is in tandem over foundation...first a light dusting of Dim Light, followed by a medium application of Diffused Light evens, seamlessly brightens and adds radiance. I cannot get over how completely invisible these powders are on the skin...once applied, they absolutely vanish, while somehow managing to make whatever they touch look more perfected. Highly recommended! Ahh I really want to give Dim Light a try. Not sure if they'll ever make it to Australia, so looks like I have to parcel-forward from the US! I wish you the best in ordering Dim Light...I've used a lot of powders in my lifetime and this formula is definitely in a class by itself! I have read several rave reviews about this powder, including yours. I must get it pronto!!!! Can't wait to hear your thoughts once you get it! Hope you and your adorable pup are doing well. Hi there, these beauties have just landed at MeccaCosmetica in Australia, I got Dim Light and it is stunning, I am NC30 if that helps. Fantastic! Thrilled that Dim Light is a match...thanks for letting me know! Hi BP. I just ordered dim and diffused from sephora.com. How would u use the powder with cream blush? Foundation, cream blush and then powders on top? I would avoid the cheeks so I don't cancel out the blush! And do u need bronzer with dimi light or does it have a bronzing/warming effect? Thanks so much! Love your blog. Hi again! I get ridiculously happy when you post; I just love the products you choose to review and either use them too or plan to lol. We have very similar skin tones, and I my biggest goal is finding the prefect foundation....foundations! 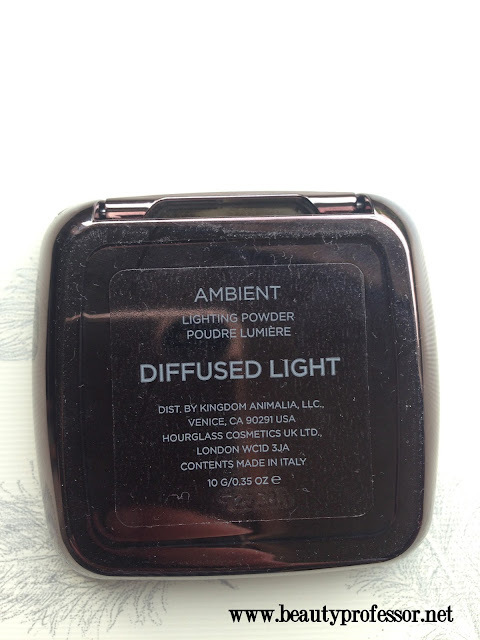 :P I got the Ambient powders in Dim and Mood. I returned Mood; I think this one will be better for fairer skin withe cooler undertones, but love Dim. It looks fantastic on you, especially in the photo with the Tom Ford Foundation Stick which I am still longing for. Now I might just have to check out Diffused! Thank you for another fab review! I get ridiculously happy that you get ridiculously happy when I post...how's that for compounding the joy : ) ?! I am so glad you like the products I review...and hooray for Dim! It is a really special powder...I wasn't expecting to love it as much as I do. How is your foundation search going? Any fantastic discoveries as of late? Thanks for your kind words about my pictures! As much joy as possible!! :) Oh wow, well my hunt has been crazy. 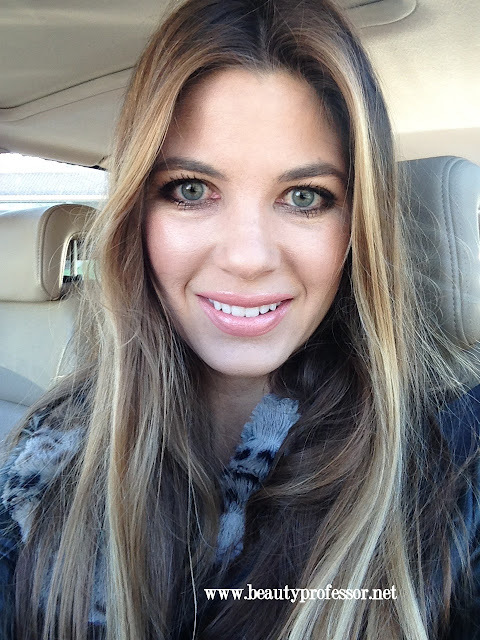 I tried the NARS Sheer Glow, Armani Luminous Silk, Guerlain LdP, and Becca all quite recently. Either they have a nice finish but the color match is off (NARS & LdP), or they have an OK color match but not so great finish (on me), which was the case with both Becca formulations I tried (Luminous Skin Tint and the newest one....though I am think I should give that one another shot). That said, I have fallen madly in love with the By Terry Cover Expert which I never would have thought to try if not for your review. Shade #7 is a great match right now though I just ordered #9 to mix as Spring approaches. It's a gorgeous foundation! I never found a matte finish foundation that can actually give a glow! This one does. I was actually complimented several times on my skin when I was shopping for skincare and makeup the other day. Usually they tell me how I need to do all these things to make my skin look better :P. Funny enough one of them insisted that I try her foundation line, but because my skin is so sallow and suffering from pregnancy, I knew that if my skin looked good it was the foundation I had on. I am trying to stick to this one, but my curiosity....oh it kills me! So, I also ordered the By Terry Sheer Expert and am hovering over the submit button for the Tom Ford stick! Even if I find near perfection, there is surely something even better, no? Anyway, it's a fun habit and it's a pleasure sharing it with fellow makeup and skin care lovers. Have a wonderful wonderful week! Hugs! 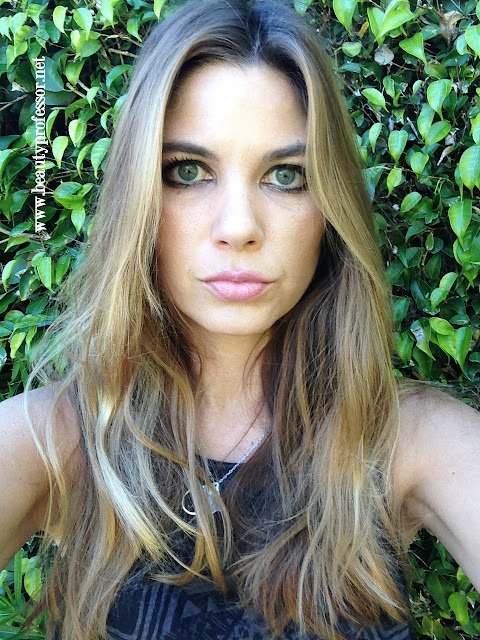 It's a true pleasure to communicate and share with you, too...xoxo and talk soon!! Hi!!! Great post, do you think dim light will work on nc45/50 skin tone? I've been hearing a lot about powders like this & trying to decide the best one to get, my main concern is hyper-pigmentation & it sounds like the peach undertone in dim light will work perfectly for that & stopping foundations going ashy in those affected areas. Thank you!! I think that Dim could potentially work well on NC 45/50 skin; it is much lighter than that on its own, but the peachiness effect could even things out if applied sparingly (almost like a highlighter). As always, I suggest buying this at Sephora (because their return policy is so flexible), just in case it doesn't end up doing what you want it to! I have Dim light and love it. The web site stated they were in my local store but I could not find them but one of the SA that I know went to the back and found all of the for me. I hope to get a few more of them. I love them all. 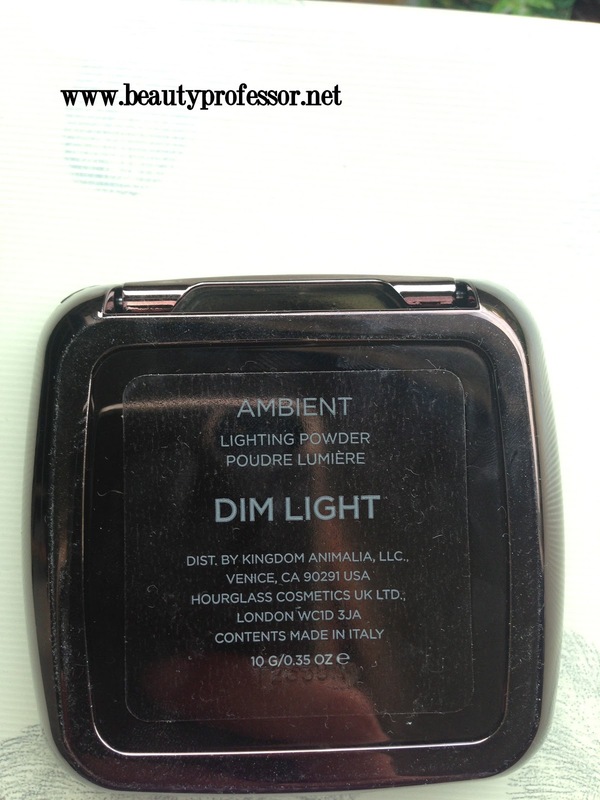 Glad to hear that you are loving Dim Light...it is such a special shade and unlike most powers I've tried in the past! What shades are next on your list? Dim Light is wonderful, and Radiant Light looks like a lovely highlighter. I've been carrying Dim and Diffused around in my purse all week...two is definitely not a bad thing! Take care and keep me posted on what you end up with! I am IN L O V E with my Dim! It is an everyday "holy grail" for me ever since I first opened the compact and tried it on. I can't say that about any other product I own. It is always wonderful to see your take on what I have some experience with. I said it was "pink" on my video, doh, and you are right - "peach" is the word I should have said. I hope I didn't scare anyone off. That sounds nice, but I like medium to full coverage (no major disasters, but I like to really even everything out). I was about to swoon over the SKII, but first the price, and second the coverage. Did I hear the word "pregnancy" connected with you??!! Congratulations if so! Hi BP, I have a question about Peau Verge.... I just got it in shade 2 (on your advice!).. Do you know how much Retinol is in this product? I already use retinol lotions day and night (I'm on the Zo Skin Health system- unbelievable results BTW) with no irritation whatsoever. I called the Metier counter and spoke to someone who said that the amount of Retinol is minimal and shouldn't irritate my skin when used in addition to the other lotions I'm currently using. Do you use other forms of retinol as part of your skincare- in addition to Peau Verge? Thanks for your question...congrats on your Peau Vierge #2...I'm picking up my third (!) bottle tomorrow. I don't know exactly how much Retinol, percentage-wise, it has, but I should be talking with one of the specialists this week and will make sure to ask! At times, I use Retin-A Micro, and I have never experienced an irritation from having both products in my routine. I also have a Retinol cleanser that I've used without incident...and my skin is ridiculously sensitive! I hope that helps and will definitely post back here on this thread if I get additional information about it this week! Hi Anon...I was at LMdB counter at the Neiman Marcus in Beverly Hills this week and was able to find out from LMdB specialist, Scott Reyes, that the Peau Vierge contains .05% Retinol, suspended in Vitamin E Phosphate, which makes it extremely gentle on the skin (e.g., no peeling, dryness, redness etc.). I was also wondering about the retinol in the Peau Vierge. I recently just purchased it at the counter and it seems that it would really work well in the summer because of the light tinted moisturizer effect it gives me. I think it has SPF of about 20. Do you wear it in the summer and are you comfortable with the retinol in the product perhaps making you more sensitive to the sun and causing skin damage if not protected with a higher SPF? I do like to get a slight tan but don't want to risk damaging my skin either. I wear the Peau Vierge year round and haven't experienced any sensitivity whatsoever! To be fair, if I know that I am going to be in the sun, I make sure to wear additional sunscreen (at least SPF 30) and generally have a visor near by as well. I love tanning at bit in the summer, but I never tan my face (hence the full spectrum of foundations year round...I have to find the perfect shade to match my body!). Peau Vierge is my #1 skincare favorite...highly recommended! After your review, dim is now mine. I didn't purchase the Hourglass brush, do you think its necessary for perfect application? Where can I see more of your bother's purses, please! Hello Anon!! Thanks for the question...his website can be found at: www.sethwegter.com. Please enjoy and let me know if you have any questions! I love your posts!! Anywho I bought Luminous Light because I saw Lisalisad1 on YouTube use it and I just fell in love. I thought it was going to be really shimmery and it's not it's really subtle. I did a blog post on it. I'm just loving it so much it's so natural and beautiful. I really want to try the ones you have. They look and sounds amazing too. Thanks so much for your sweet comment! 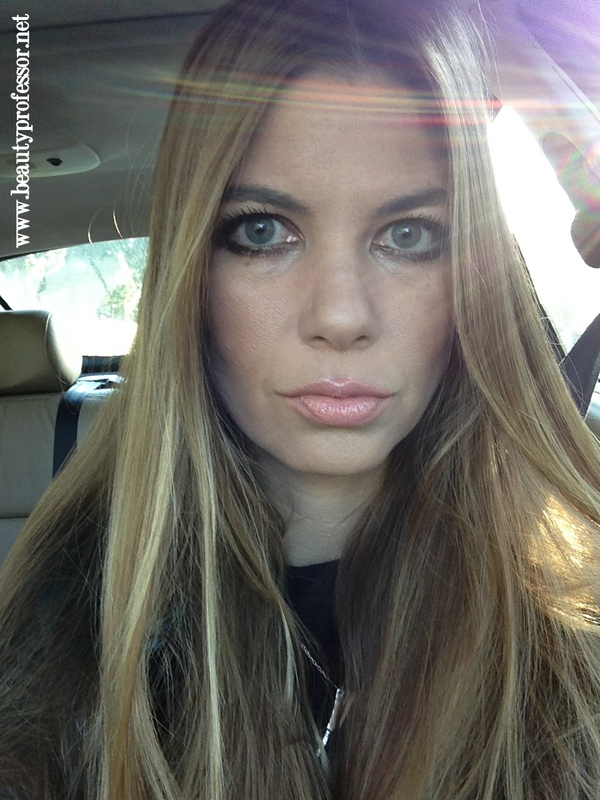 I am so glad to hear that Luminous Light is a hit for you...I love how subtle the effects of these powders are. If you love Luminous Light, I suspect that you will adore Diffused and Dim as well...let me know! I love this powder and wear it over their primer (spf 15). Do you know if these powders have any SPF in them? I'm concerned about only wearing an SPF 15 from their primer.